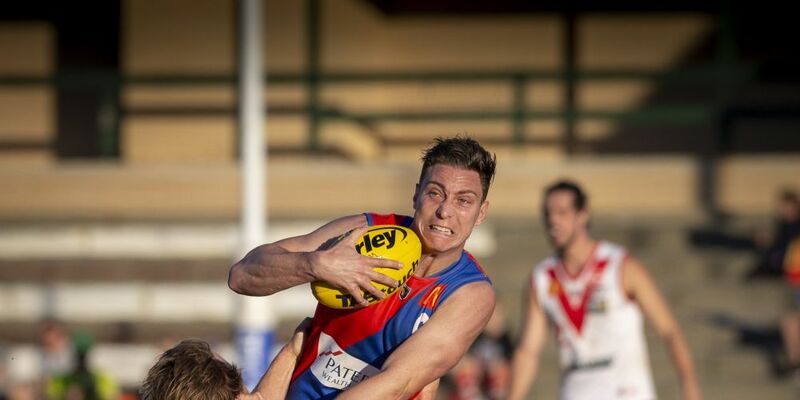 West Perth travel to Fremantle Oval to face South Fremantle in the WAFL preliminary final this Sunday after defeating Claremont in last weekend’s first semi-final. THIS weekend against South will be about our ability to win the ball around the contest, our ability to get the ball in our forward half and keep it there, all things that were strong against Claremont on Sunday and that give you a chance to win games of footy. Not so when it’s played on the opposition’s terms. Statistically South took 100-odd marks, 60-odd inside 50s (in the Falcons’ qualifying final loss to the Bulldogs). You’re not going to win games of footy when you give those stats up. So winning the ball around the contest against South on Sunday is going to be crucial as a starting point. And we just need to pressure really well and hope that our forwards get enough supply to kick a winning score. • I know (new West Perth president) Neale Fong but haven’t worked with him before. I think it’s a good appointment for the club. There’s a lot of hard work to be done by the new board and management. We hope it’s heading us in the right direction and given Neale’s experience, (former WAFC commissioner) Ross Kelly’s experience and some of the other guys on the board, I’m sure the club will end up in a good spot.